Q1) a) What are applications of Parallel Computing? i) The parallel computing is suitable for the problems require much more time for computation completion. The several areas in which parallel computing are used usually based on high-end engineering and scientfic problems. ii) This includes computer based simulations and Computational Fluid Dynamics (CFD) as well as other computer based digital image processing and security algorithms. A) Applications of parallel computing in Engineering. i) Parallel computing is used in various engineering problems. These problems typically solved in the form of computer programs in traditional machines. ii) These machines are capable of performing the tasks sequentially but designers closely observed and found the subtasks included in the problem can be performed as different processes simultaneously. iii) The parallel computations provide the improvements in overall efficiency of the applicatiom. The main factor responsible for efficiency improvements is the speedup of the computations. aerodynamics, optimization algorithms like branch and bound and genetic programming etc. B) Scientfic Applications using Parallel Computing. i) In short scientfic applications are created to show the simulated behaviours of real world entities by using mathematics and mathematical formulas. ii) This means the object exists in the real world are mapped in the form of mathematical models and actions present in that object are simulated using mathematical formula. iv) The scientfic applications are major candidates for the parallel computations. For example weather forecasting and climate modeling, Oil exploration and energy research, Drug discovery and genomic research etc. 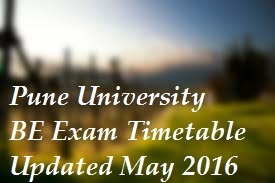 are some of the scientfic applications in which parallel activities are carried out throughout the completion. v) These activities are performed by the tools and techniques provided under the field of parallel computing. C) Commercial Applications Based on Parallel Computing. i) The increasing need for more processing power is full-filled by parallel architectures. The parallel architectures continuously evolve to satisfy the processing requirements of the developing trends of the society. ii) The commercial applications require more processing power in the current market trends because of performing many activities simultaneously. iii) This creates an inclination towards the use of parallel computing applications for commercial problems. We can consider multimedia applications for commercial problems. We can consider multimedia applications as an example of commercial applications in which parallel computing plays vital role. iv) For large commercial applications such as multimedia applications enhance processing power and most of the circumstances the overall applications should be divided into different modules. 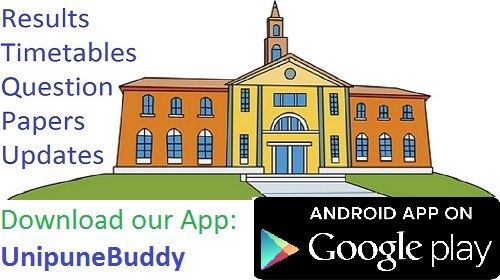 These modules work in the close cooperation to complete the overall required task in less amount of time. D) Parallel Computing Applications in Computer Systems. i) In the recent developments in computing the techniques of parallel processing becomes easily adoptable because of growth in computer and communication networks. ii) The computations perform in parallel, by the use of collection of low power computing devices in the form of clusters. In fact a group of computers configured to solve a problem by means of parallel processing is termed as cluster computing systems. iii) The advances in cluster computing in terms of software frameworks made possible to utilize the computing power of multiple devices for solving of large computing tasks efficiently. iv) The parallel computing is effectively applied in the field of computer security. The internet based parallel computing set-up is suitably used for the implementation of extremely large set of data required for computations. Q1) b) Explain basic working Principal of VLIW Processor? Q2) a) Explain Randomized Block Distribution and Hierarchical Mapping. i) Randomized block distribution is a more general form of distribution. Here load balancing is achieved by dividing the array into more number of blocks than total the total number of process currently active for processing. i.e. Divide the data such that Number of blocks in which data is divided > Total Number of Active Processes. ii) Load Balancing is the mechanism to divide the data such that each process will get equal amount of data to work on. iii) As the name suggests, in this distribution blocks are distributed randomly among the processes but the block distribution is handled uniformly. iv) Consider an example of one dimensional block distribution in randomized fashion. vi) Considering the block size as 3 so the number of processes will be 4. (3*4 = 12(Total Number of elements)). viii) This is how the technique of Randomized Block Distribution works. i) Hierarchical mapping technique can be applied on those task that can be represented using task dependency graph. The mapping in this approach also has some problems like load-imbalance or inadequate graph. 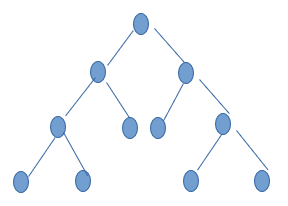 ii) For Example lets take Hierarchical mapping for binary tree task dependency graph. One such tree is shown in the figure. Here at the top of the tree only few concurrent tasks can be performed because of availability of less number of tasks. iii) The decomposition of tasks in done at further level where number of tasks are greater so that mapping can be handled efficiently. In such cases, large tasks are divided into smaller subtasks at further levels. iv) The above binary tree has 4 levels. Initially the root task can be divided and assigned to 4 prosesses. In similar fashion, the next level task can also be divided and assigned to 4 Processes. v) These divisions at different levels are mainly used for mapping of tasks to processes and finally at leaf levels the tasks are mapped with processes as one to one mapping. Q2) b) Write a note on: Topologies and Embedding. i) The processses which are involved in the group are identified with their ranks. These processes can communicate with each other and their communication pattern is represented using graph. 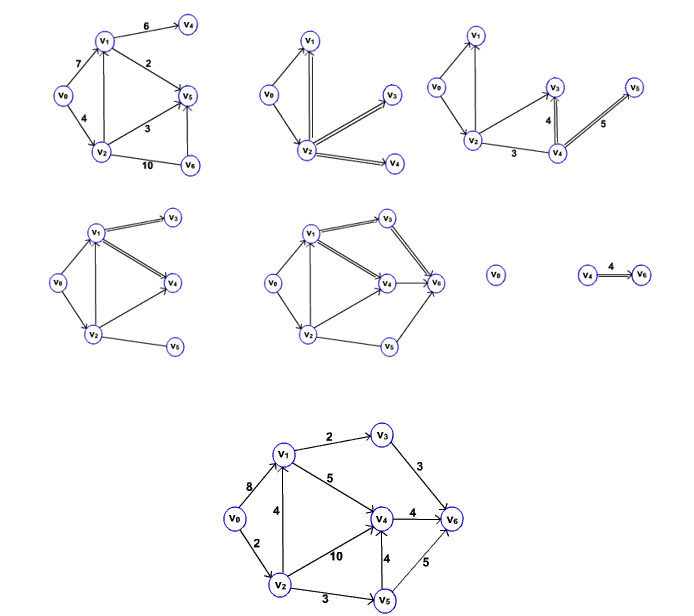 ii) Nodes in the graph represents process and edge between them represents the communication. That means if two nodes are connected with an edge then there is a communication between two processes. iii) Communicator is a group of processes and a communicator consists of many attributes. Topology is one of them. iv) Topology is considered as an additional information and can be associated with the communicator beyond with the groups and context. This important additional inforrmation is said to be cached with communicator. 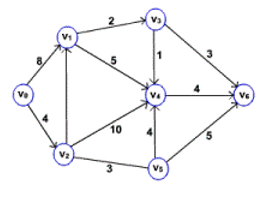 v) The graph is a collection of nodes and edges. 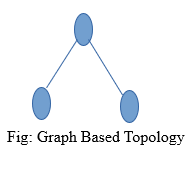 In the graph based topology, processes are represented as nodes and edges are used to show connection between them. vi) Grid based topology creates a ring , two dimensional and three dimensional grids, or tori etc. i) The processes are connected with each other in a virtual grid like fashion. This type of topologies is suitable for grid like structures. ii) While programming using MPI, the grid like structure is easier than graph based topology. A row major numbering system is used for mapping of the grid structures. iii) In Cartesian Topology process coordinates begin with 0 and it supports Row-major Numbering. i) In this type of topology, Nodes represents the Process and the edge between two nodes represents the communication between them. Q3) a) Implement Producer Consumer Problem using Matrix Synchronization Primitives in pthreads. Q3) a) Describe Logical Memory Model of a Thread? Consider the following code segment that computes the product of two dense matrices of size n x n.
Here, we use a function, create_thread, to provide a mechanism for specifying a C function as a thread. The underlying system can then schedule these threads on multiple processors. 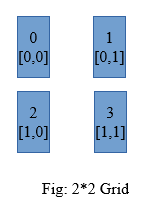 Logical Memory Model of a Thread to execute the code fragment in Example on multiple processors, each processor must have access to matrices a, b, and c. This is accomplished via a shared address space . All memory in the logical machine model of a thread is globally accessible to every thread as illustrated in Figure (a). However, since threads are invoked as function calls, the stack corresponding to the function call is generally treated as being local to the thread. This is due to the liveness considerations of the stack. Since threads are scheduled at runtime (and no apriori schedule of their execution can be safely assumed), it is not possible to determine which stacks are live. Therefore, it is considered poor programming practice to treat stacks (thread-local variables) as global data. This implies a logical machine model illustrated in Figure (b), where memory modules M hold thread-local (stack allocated) data. While this logical machine model gives the view of an equally accessible address space, physical realizations of this model deviate from this assumption. In distributed shared address space machines such as the Origin 2000, the cost to access a physically local memory may be an order of magnitude less than that of accessing remote memory. Even in architectures where the memory is truly equally accessible to all processors (such as shared bus architectures with global shared memory), the presence of caches with processors skews memory access time. Issues of locality of memory reference become important for extracting performance from such architectures. Q4) b) Why Synchronization is important? Enlist Thread API’s for Mutex Synchronization. i) Synchronization is the facility provided to the user in almost all programming models used in designing of parallel programs to control the ordering of events on different processors. ii) The parallel executions of some programs depend on the synchronization because without using the synchronization these programs may produce wrong results. The demerit of the synchronization is expensiveness. With respect to multithreading, synchronization has the capability to control the access of multiple threads to shared resources. Without synchronization, it is possible for one thread to modify a shared object while another thread is in the process of using or updating that object’s value. This often leads to significant errors. Thread API’s for Mutex Synchronization. Thread synchronization is required whenever two threads share a resource or need to be aware of what the other threads in a process are doing. Mutexes are the most simple and primitive object used for the co-operative mutual exclusion required to share and protect resources. One thread owns a mutex by locking it successfully, when another thread tries to lock the mutex, that thread will not be allowed to successfully lock the mutex until the owner unlocks it. The mutex support provides different types and behaviors for mutexes that can be tuned to your application requirements. pthread_lock_global_np() (Lock Global Mutex): locks a global mutex provided by the pthreads run-time. pthread_mutexattr_destroy() (Destroy Mutex Attributes Object): destroys a mutex attributes object and allows the system to reclaim any resources associated with that mutex attributes object. pthread_mutexattr_getkind_np() (Get Mutex Kind Attribute) : retrieves the kind attribute from the mutex attributes object specified by attr. pthread_mutexattr_getname_np() (Get Name from Mutex Attributes Object): retrieves the name attribute associated with the mutex attribute specified by attr. pthread_mutexattr_getpshared() (Get Process Shared Attribute from Mutex Attributes Object): retrieves the current setting of the process shared attribute from the mutex attributes object. pthread_mutexattr_gettype() (Get Mutex Type Attribute) : retrieves the type attribute from the mutex attributes object specified by attr. pthread_mutexattr_init() (Initialize Mutex Attributes Object): initializes the mutex attributes object referenced by attr to the default attributes. pthread_mutexattr_setkind_np() (Set Mutex Kind Attribute): sets the kind attribute in the mutex attributes object specified by attr. pthread_mutexattr_setname_np() (Set Name in Mutex Attributes Object): changes the name attribute associated with the mutex attribute specified by attr. pthread_mutexattr_setpshared() (Set Process Shared Attribute in Mutex Attributes Object): sets the current pshared attribute for the mutex attributes object. pthread_mutexattr_settype() (Set Mutex Type Attribute) sets the type attribute in the mutex attributes object specified by attr. pthread_mutex_destroy() (Destroy Mutex) :destroys the named mutex. pthread_mutex_getname_np (Get Name from Mutex) :retrieves the name of the specified mutex. pthread_mutex_init() (Initialize Mutex): initializes a mutex with the specified attributes for use. pthread_mutex_lock() (Lock Mutex) : acquires ownership of the mutex specified. 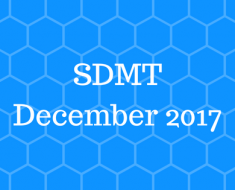 pthread_mutex_setname_np (Set Name in Mutex) : sets the name of the specified mutex. pthread_mutex_timedlock_np() (Lock Mutex with Time-Out) : acquires ownership of the mutex specified. pthread_mutex_trylock() (Lock Mutex with No Wait) : attempts to acquire ownership of the mutex specified without blocking the calling thread. pthread_mutex_unlock() (Unlock Mutex) : unlocks the mutex specified. pthread_set_mutexattr_default_np() (Set Default Mutex Attributes Object Kind Attribute) : sets the kind attribute in the default mutex attribute object. pthread_unlock_global_np() (Unlock Global Mutex) : unlocks a global mutex provided by the pthreads run-time. Q5) a) Explain Sorting Network with suitable Diagram. Q5) b) Explain Single Shortest Path Algorithm with suitable Example. Q6) a) Describe Different Techniques of Latency Hiding. i) Generally the higher latency is due to the shared resources in a network, that too shared memory. The following methods can be used to hide the latency. b) Use of coherant cache. c) Use of relaxed memory consistency model. i) The instructions that are to be executed in next clock cycles are perfected. This can be either hardware of software controlled. ii) The hardware controlled perfecting is achieved by using long cache lines or instruction look ahead. Software controlled perfecting executes the perfecting instructions explicitely to move data close to the processor before it is needed. i) Multiple caches are used to store the data. The cache coherance has two levels. Every write operation occurs instantaneously. All processor present in the network see the same sequence of changes in the data. ii) The cache coherenace is mainly used to manage the conflicts between the cache and main memory. The access to cache memory is faster than main memory. This reduces / hides the latency in case of fetching any instruction or data. i) In relexed or release model, the synchronization accessor of data in the program are idenfified. They are classified as locks or unlocks. This provides flexibility and fast access. ii) In multiprocessor architecture, relaxed memory model is implemented by buffering the write operations and allowing the read operations. i) In case of communication, a block of data is transferred rather than a single data; Generating a communication before it is actually needed helps to reduce the latency. This is known as pre-communication. Q6) b) How latency hiding is different than latency reduction? Memory Latency Hiding: Finding something else to do while waiting for memory. Memory Latency Reduction: Reducing time operations must wait for memory. While waiting execute other instructions. Can only cover part of miss latency. While waiting execute other threads. iii. Requires effort to parallelize code. Parallel code possibly less efficient. Latency problem worse due to coherence hardware and distributed memory. ISA and hardware eciently access regularly arranged data. ii.Commercially available for many years. Compiler or programmer fetch data in advance. Hardware fetches data in advance by guessing access patterns. i.Reduce latency by placing processor and memory on same chip. i.Send operations to where data is located. In computing, petascale refers to a computer system capable of reaching performance in excess of one petaflops, i.e. one quadrillion floating point operations per second. The standard benchmark tool is LINPACK and Top500.org is the organization which tracks the fastest supercomputers. 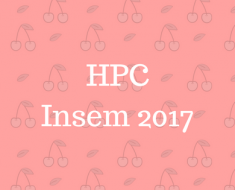 Some uniquely specialized petascale computers do not rank on the Top500 list since they cannot run LINPACK. This makes comparisons to ordinary supercomputers hard.Petascale can also refer to very large storage systems where the capacity exceeds one petabyte (PB).Petascale computing is being used to do advanced computations in fields such as weather and climate simulation, nuclear simulations, cosmology, quantum chemistry, lower-level organism brain simulation, and fusion science. i) Nanotechnology is a technology that manipulates matter on an atomic molecular and super molecular scale. It is used in fabrication of microscale products. ii) The size of the matter considered would be in a range of 1 to 100 nano meters (10-9 m). iii) Use of nanotechnology improves the performance of HPC. If HPC is used with multiscale optimization library using nanotechnology, then the reliability calculation can be accelerated. iv) The computations in an HPC setup can be optimized using nanotechnology. Usage of nanotechnology will be more effective, when work distribution is done in different clusters. v) The computation on a CUDA based framework will be more effective, when it is based along with nanotechnology and parallelization capabilities of CPU. Q7) b) Elucidate Thread Organization in Detail. A thread block is a programming abstraction that represents a group of threads that can be executing serially or in parallel. For better process and data mapping, threads are grouped into thread blocks. The number of threads varies with available shared memory. The number of threads in a thread block is also limited by the architecture to a total of 512 threads per block. The threads in the same thread block run on the same stream processor. Threads in the same block can communicate with each other via shared memory, barrier synchronization or other synchronization primitives such as atomic operations.Multiple blocks are combined to form a grid. All the blocks in the same grid contain the same number of threads. Since the number of threads in a block is limited to 512, grids can be used for computations that require a large number of thread blocks to operate in parallel.CUDA is a parallel computing platform and programming model that higher level languages can use to exploit parallelism. 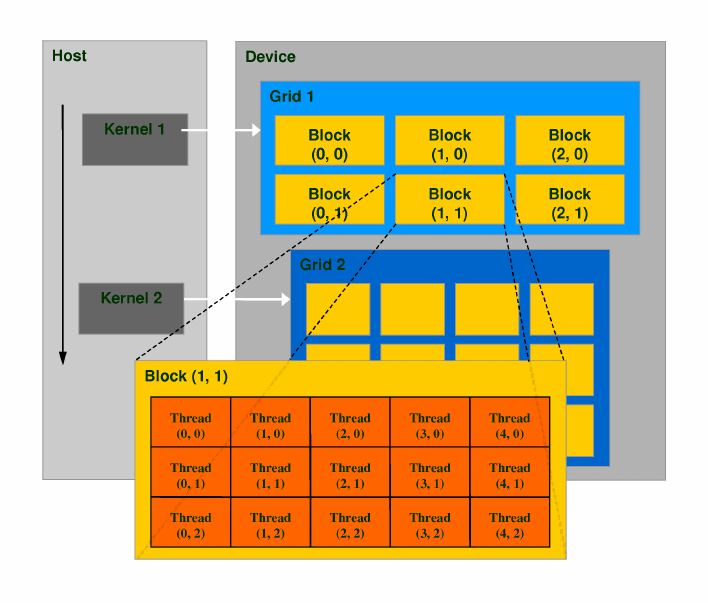 In CUDA, the kernel is executed with the aid of threads. The thread is an abstract entity that represents the execution of the kernel. A kernel is a small program or a function. Multi threaded applications use many such threads that are running at the same time, to organize parallel computation. Every thread has an index, which is used for calculating memory address locations and also for taking control decisions. Q8) b) Intricate sorting issues in Parallel Computers. i) The major task in the Parallel Algorithms is to Distribute the elements to be sorted onto the available processes. Following are the issues that are to be addressed while distributing. 1 .Where the input and output sequences are stored. i) In case of parallel algorithm, the data may be present in one process or may be it is distributed throughout the processes. 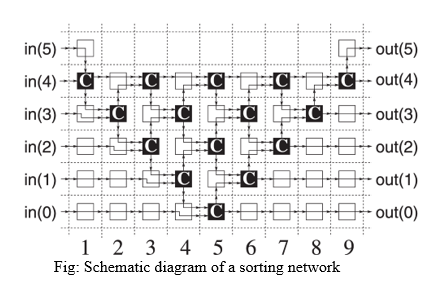 Wherever sorting is a part of any other algorithm, it is better to distribute the data among processes. ii) To distribute the sorted output sequence among the processes, the processes must be enumerated. This enumeration is used to specify the order of the data. iii) For example, the Process P1 comes before Process P2 in enumeration, then all the elements in Process P1 comes before all the elements in Process P2 in the sorted sequence. iv) This enumeration mainly depends on the type on interconnection network. i) In case of sequential algorithms, all the data that is to be compared is present on only one process, whereas in case of parallel algorithms, data is distributed to n number of processes. Hence there can be two cases in case of how comparisons are performed. i) Let Process P1 contains element having value ‘1’ and Process P2 contains element having value as ‘2’. Let process P1 comes before P2. To arrange two elements in ascending order, first thing to do is send the element from one process to another and compare them in the process. ii) Here P1 keeps smaller value whereas P2 keeps larger. Iii) Hence both the process send the data to one another. So both the process can perform compare operation. iv) Process P1 and P2 both contains value 1 and 2 after sending Data to each other. Now because of enumeration, Process P1 comes before Process P2. Hence Process P1 Performs min(1,2) compare operation i.e. Minimum between two elements gets selected. In this case it is 1.
v) Similiarily, Process P2 performs max(1,2) compare opertion i.e. Maximum between two elements is selected.In this case it is 2.
v) If P1 and P2 are neighbours in the interconnection network and communication is bidirectional, then communication cost is ts + tw. Case 2: Each Process Has More Than one Element. i) When there is large sequence is to be sorted and number of processes available in less then each process stores more than one element in its memory. If there are n elements to be sorted and number of processes available is p, then n/p elements are allotted to each process. ii) In this case also, consider the example of two processes P1 and P2. Let us consider that P1 contains elements (2,5,8,9) and P2 contains (1,3,6,7). iii) Similar to Case 1, in this case also both the processes sends the data to each other using communication network. iv) Again Both the process have all the data of each other similar to case 1.
v) On next step Data is sorted and again minimum and maximum operations are performed. Minimum half is kept in P1 and Maximum in P2. vi) After that two process are merged to get output. vii) Complexity: O(ts + tw n/p). n/p since each process contains n/p and communication is bidirectional.